After losing at home to the Houston Astros in Game 7 of the 2017 World Series, the Los Angeles Dodgers were motivated to return to the Fall Classic and end the championship drought that was running on 30 years. 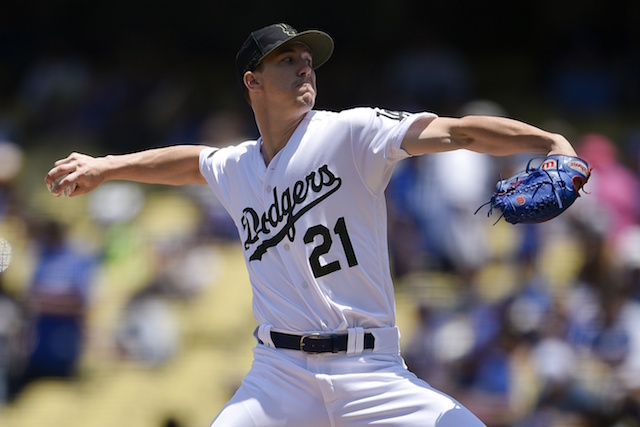 As Justin Turner was recovering from a fractured wrist suffered late in Spring Training, and active players struggled with consistency, the Dodgers got off to the worst 40-game start in Los Angeles franchise history at 16-24. They fell to 16-24 before beginning to turn the year around. It took them all season, but L.A. clawed back up to the top of the National League West standings to pull even with the Colorado Rockies. 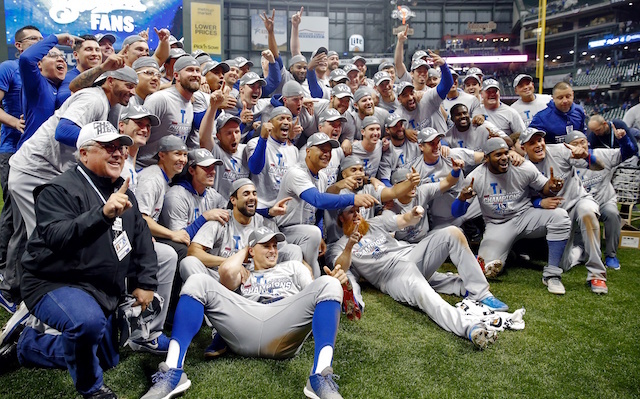 The Dodgers won a Game 163 at Dodger Stadium to claim a sixth consecutive division title. They then defeated the Atlanta Braves in the NL Division Series, and the Milwaukee Brewers in a thrilling NL Championship Series. On Saturday, Dodgers owner Mark Walter, president and CEO Stan Kasten, president of baseball operations Andrew Friedman and manager Dave Roberts presented the players with their 2018 NLCS rings. Although the 2018 season would end in disappointment as the Dodgers fell to the Boston Red Sox in the World Series, their two consecutive NL titles are certainly worth recognizing. The Dodgers have now won 23 NL pennants to tie the San Francisco Giants for most in league history. They have 11 league titles since moving to Los Angeles in 1958, and they were back-to-back NL champions for the first time since 1977 and 1978. Moreover, the Dodgers became the first team to make consecutive appearances in the World Series since the Philadelphia Phillies in 2008 and 2009.